By implementing a managed print service strategy that saves time, money and is ‘green’. I recently wrote about the differences between managing your print in-house V outsourcing/print management. Here! Two similar sounding models yet distinctly different! The lines become easily blurred when talking about print management and MPS? Many businesses don’t really understand or know the true cost of printing and often there is no method employed to manage and control print spend. How can you take control of this seemingly mundane yet essential everyday business function? Take Control of your print NOW!! Why implement an in-house print management system? Before I continue I should point out that a print management software/hardware solution employed in-house is not the same as print management and outsourcing all your finance/corporate printing. Whilst the two sound similar and do cross paths, print management is a unique discipline that includes outsourcing anything from a business card, cheque to pens, mugs, mouse mats and all your finance/corporate print. Managed Print Solutions are about managing the document process and print such as the printing of emails, photo-copying and document archiving in-house. Implementation of an effective managed print program can see businesses reduce print costs by up to 30%. Statistics can so easily be manipulated but for the purposes of this article let me provide an example of a US bank that implemented a strategic print management process and removed some 88 million print impressions, cut colour printing by just under 50% and paid for the initial investment within 8 weeks of it being set up. Impressive! A suite of print management software tools designed for companies, universities and commercial enterprises installed on your network that help you take back control of what you print by monitoring, measuring ongoing management of print activity. The software is designed to gain a clear picture of what a company needs and then involves the deployment of the proper equipment to meet these needs. It also helps employees become more aware of their printing habits and enforces print policies where necessary such as routing jobs to the most cost effective devices or by limiting the amount of colour printing. Using print management software brings accountability and control of printed output to an enterprise, school, university, law practice, and accountancy firm. User level reporting hi-lights awareness of print habits, costs and helps influence print behaviour to make employees think more before they hit the PRINT button. Take control of your printed output! How do you regain control of your print spend and reduce print and paper costs? Easy. Click here and one of our advisors will call you. Managed print services and how to reduce paper and print costs. How print management saves time and money. Print Management solutions for Professional Service Companies. In a recent article posed by smallbusiness.co.uk it was reported that British businesses were least optimistic in the world in the second quarter of 2011! It’s a simple fact that no matter how hard you work, you sell, you market your products, you do everything and more. If the companies you are marketing your products or services too have no budget to make the purchase even in the face of saying we love it we know it will work, yes I can see it will save us time, money etc; if they don’t have the capital then a sale can’t take place! It sounds flippant to say this but the old adage that says “nothing in the world ever happens until a sale is made” is very true. It’s tough out there and talking to the more experienced businessmen and women many of whom have commented that this is the worst recession or downturn they’ve experienced in 25-30 years of trading! Unfortunately there is no magic wand to wave to make it go away. The interest rates are low with inflation running at 5.0% (RPI) and 4.4% (CPI) it’s difficult to see where it’s all going to end. On the plus side, the numbers of start ups is on the rise for the second consecutive year up by 9.4% to 396,000 over the year to March 2011. I’d counter that if people are being made redundant or unemployed then they are looking at seizing this opportunity to go for it and set up their own business. So where is your business headed? There is a lot to worry about but there’s no point in panicking which is certainly not an effective business strategy the whole economy is not within our power to influence and the most important thing for us to worry about is to seek new opportunities that will help our businesses thrive. 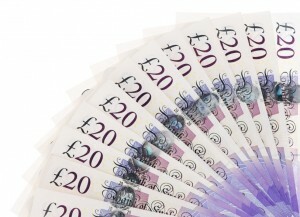 What are you doing to counter the effects of the recession? What opportunities or ideas have helped you? Please leave a comment or sign up to receive more news on the right hand side of our page. 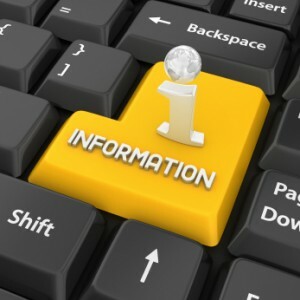 Outsourcing a business process is a viable and cost effective proposition for many businesses. When you decide to outsource a business function such as outsourcing billing the risk can be minimised by ensuring you select the right partner. I use this term because it has to be a relationship, one that works two ways, it’s not an association; or “just the company we happen to use to do our billing, payroll, print function you are outsourcing it has to be a relationship designed to aid your business which translates onto your bottom line. Deciding which business process should be outsourced is defined by what has become a bottle-neck in your company. 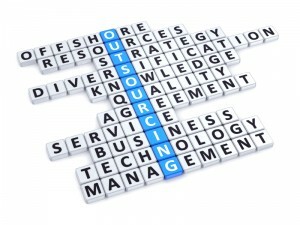 What process/processes are you considering outsourcing? – outsourcing billing, payroll, HR? What selection process/mechanism are you going to use to find such a company? Who is going to be responsible for managing the task of selecting the provider? What criteria of selection should be used to disseminate the good from the bad? Please don’t make this solely size of turnover or accreditation driven; there are just as many small and large companies doing just a good and bad job of providing services to the end user. If, after an initial discussion a potential supplier can satisfactorily demonstrate in-house quality, policy and procedures that are integral to you and your requirement then don’t rule them out of the picture! How do I evaluate the service provisions on offer? I would recommend you think about what credentials the supplier has i.e. years of expertise, references and case studies of projects undertaken. More importantly a genuine gut feel of the person(s) and the company you are talking too! 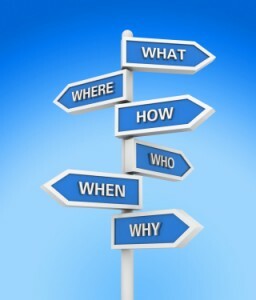 What are you asking the incumbent supplier to do/provide service wise? What will my decision making criteria be based upon? I urge caution here as a decision should never be price driven in our experience this has always been to the detriment of the company seeking to outsource and you will end up by shooting yourself in the foot. Partnering with a company who does it “cheaply” implies that they don’t have the infrastructure to follow through which means they won’t or can’t deliver what you really want or have asked for! When is a good deal EVER A GOOD DEAL? When is a good deal ever a good deal? The cheapest price should never be your main criteria for selection. Has a budget been set for the process OR what cost savings are you looking to achieve? What timescales are you looking at to implement the project? Right from the outset you must be clear that once a decision has been taken to outsource you determine a live start up date otherwise the time you spend investing in moving the project forward is worthless and the supplier feels frustrated as they have also invested time and goodwill in assisting with the outsourcing process! Digital Print Management aim to provide an independent outsourcing services for electronic & paper billing, payroll, cheques and secure print management. We are on facebook, twitter, linkedin, google+ and pinterest. Please do connect with to keep up to date with our news and blogs. Outsourcing Print Services. How To Manage the Process of Outsourcing Print? 5 Reasons to outsource your e billing. e-billing is not sending a PDF bill as an attachment to an email. 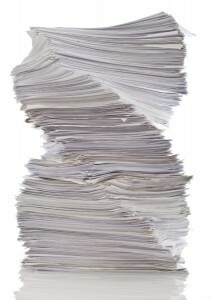 The importance of optimising both a paperless and an e-billing process shouldn’t be underestimated! Both processes can co-exist in harmony. E-billing provides a number of great features such as the option to retrieve documents in PDF, Excel, EDI, XML or CSV formats allowing you to view and interact with your online invoice/statement, query invoices and download copy invoices if required. Emailing your bills for payment can reduce your DSO (Days Sales Outstanding) cycle by as much as 70% by reducing the physical time taken to send out invoices to your customers. Many companies emphasis the importance of sales, sales, sales yet are inefficient managing debtors often complying with payment terms that are in excess of their own terms. Why supply a company that takes that long to pay after you’ve supplied the goods or services? Here’s the real conundrum what is the point of telling your sales force to be proactive in generating sales if the company is not managing the payment terms with your customers? Accounts payable solutions are designed to speed up the process and distribution of statements and invoices. By reducing the turnaround for example from 4 to 1 day for posting/emailing out your invoices, but enforcing company payment terms are ineffective then the benefit for e-billing is largely negated! The current climate requires effective payment strategies and reducing the time taken for a customer to pay has a positive effect on your bottom-line. Helping the company to grow and remain competitive. Having a robust credit management system designed solely to get the cash in for the business supports the billing effort! Choosing an end to end invoice processing and scanning solution will speed up the accounts payable process and e-billing is a part of that process. An effective e-billing solutions allows bills to be delivered as secure electronic documents directly into the customers inboxes without any link to a site to register and collect invoices. An effective eBilling solution provides the opportunity to cross sell or up sell services and products by utilising messages displayed in the bill? Marketing messages can be added to each bill both within the email and on the e-bill attachment. By taking advantage of the process you are driving qualified traffic to your website to potentially re-order or view more of your goods and services. There is an assumption that moving to e-billing will be costly and difficult to implement internally which is a valid argument. But by outsourcing the process, there is no need for big spending on software as the e-billing provider takes care of that keeping the cost of implementation to a minimum improving efficiency, reducing costs from the generation of the e-bill to the pay process. After all is said and done the take up of e-billing is slow in the UK particularly when compared to the rest of Europe. 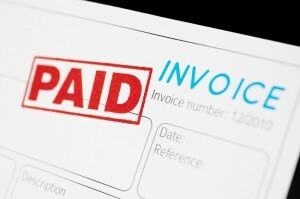 According to Deutsche Bank research only 10% of companies in the UK undertook a strategic move to e-invoicing in 2010! Many companies have adopted an e-billing process but are quick to point out that the take up has been slow and almost two-s third of their customers prefer a paper bill. Have you implemented an e-bill solution? Is it working effectively? Do you use paper and e-bills as well? What strategy have you employed to encourage your customers to take up e-billing? For updates and news please follow us on twitter, like us on facebook. We’d love it if would connect with us on linkedin and google+ too. E-Billing. A 10 point checklist to help you implement e-billing in your organisation! How to make e-billing work for your business? Accounts Receivable Automation. How to automate your AR Process? Outsourcing print saves a company time and money. In the years I have been involved with outsourcing print one question that always comes up is the case for and against outsourcing print! Print Outsourcing or outsource printing is not a new phenomenon by any means however, there are still many UK companies that manage their print in-house, in fact as I write this article I will be meeting with an independent foreign bank to discuss this very topic! I am very biased of course, it’s a no brainer to me. I know that over the years we have saved companies thousands of £’s which has translated onto their bottomline! These are some of the comments that actually make me and my team cringe and have cropped up in our exploratory discussions over the years we’ve been promoting the argument for print outsourcing. Come on, I bet you already do some form of outsourcing; take the domestic situation, maybe you outsource the ironing, or you have some domestic help with the cleaning all with the aim of saving YOU TIME. This is called domestic outsourcing. You are entrusting a service provider to deliver a specific service to suit your needs. So what’s the difference? 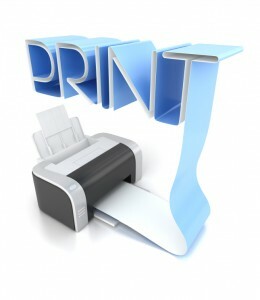 Whether to print in-house or not is an important decision for a lot of businesses. But the real issue is the true cost of printing in-house? When I refer to true cost I mean the £’s, time, the invisibles which a business can’t really quantify. Big printer/copier manufacturers have spent vast amounts on promoting to businesses that printing in-house is cheap, fast and more efficient however, this is rarely the case. Printer manufacturers rely on us mere mortals to purchase again and again. After the initial investment in your chosen printers or MFD’s (multi-functional devices), what about everything else? Paper, ink/toner, maintenance, drums, fusers, repairs, power and the biggest cost on a company’s bottom line TIME. Yes, time it takes to evaluate, source and buy or lease your print devices. Then you’ll need the ancillary equipment, if you’re going to be printing and despatching your invoices in-house then you will need mailing equipment and so the list goes on. Oh, by the way, don’t forget about the training and the personnel required in-house to operate the machinery, then, what happens if he, she/they leave! Printers and associated equipment bought or leased are often oversold in other words, are of a very high specification and way in excess of the requirement of the company’s needs. So many times I have seen customers stuck with equipment that is either under used because they have been oversold or not configured or designed for the tasks required by the company allied to that a contract that states in order for them to have the kit at an attractive rate they need to lease hire for something like 5 years+! Outsourcing by now is looking a very attractive option for the business owner surely? Outsourcing Print is a viable and cost effective proposition for many businesses. 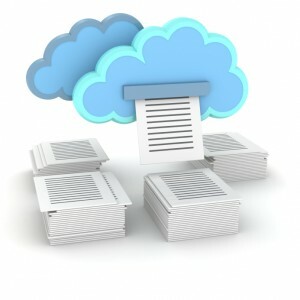 Big companies are tempted to look at the large manufacturers to provide “managed print services“; in which the vendor takes control of the customer’s production of corporate, office and marketing documents typically owning the machines, providing training on how to use them, maintenance and most likely take a per page or click charge. In-house printing comes with a pretty hefty price tag when the above are factored in to the equation and then there is the lease hire agreement and the commitment the company then has to make to the vendor to ensure he hits the click rate/nos of pages printed monthly, heaven forbid if he doesn’t! Some businesses are too small for managed print services to be able to offer competitive pricing but the reality is there are many print management companies who will provide an excellent service at a fair price. Coupled with the fact that we take the headache away by sourcing printed matter, material, consumables and thus streamline printing costs with ruthless efficiency making it a better proposition to outsource to an independent print manager than purchasing and running the equipment in-house. One final thought on the above, independent means just that; as a print management company we are independent we aim to deliver a managed print service or print solution and are driven by the customers needs and wants. Call us for an informal chat and with no obligation and see if what we can do for you! You can follow us on twitter, like us on facebook connect with us on linkedin and Google+ for all our news, reviews and updates or keep it simple subscribe and receive our updates straight into your inbox.. Many companies manage a steady stream of mail including marketing letters, bills, promotional items you name it, none of us are immune from receiving them! But processing, printing, folding and sending these items is a costly and time consuming exercise. 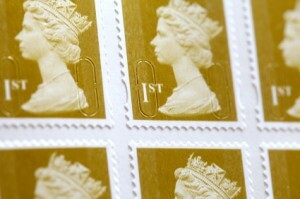 Factor in higher UK postage prices which came into force in April 2013 with a standard first class stamp for letters weighing up to 100g now at 60p and a second class stamp at 50p making it even more costly for companies to stay in touch with their customers. The personnel involved in these processes would be better served in being re-deployed into other business activities which are revenue orientated. Optimising the skills of a print and mail services company will improve and manage your paper flow more efficiently and ensure that the envelopes actually reach either the consumer or the customer. In the present economic climate, this is one area companies should be evaluating to look at reducing their print and mailing costs by working with a managed outsource print provider. 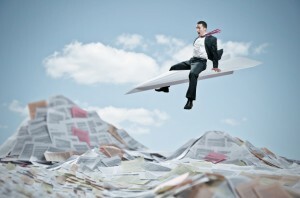 Despite growth in paperless solutions, companies still require a reliable way of ensuring that their critical documents reach their intended destination! Using a managed service provider, organisations are likely to reduce the hidden costs associated with actually processing an invoice or statement. Big postage cost savings can be made using DSA (downstream access) rather than the traditional route of the Royal Mail these savings can make a huge difference to companies who rely on a steady stream of invoices, statements and marketing material being posted out each month. A Print and Mail services provider has the technological resources, investment in mailing kit, hi-speed printers and the technology infrastructure in place to manage volume mailings. Coupled with account management your print and mail service now becomes a manageable and structured process with the print and mail of invoices and statements at month end or the posting of a promotional mailing campaign designed at attracting new customers. The process is organised, planned and represents effective management of a companies resources and time. Quite simply an organisation can spend a lot of effort trying to keep up with the demand with requests for copy documents or marketing information if they do not make use of an established managed print and mail service provider. By outsourcing, the company can transfer these chores to an organisation that is expert in delivering mailings every day. A managed print and mail service will in the long run ensure your paper flow is manageable, timely, effective and delivered to the right person at a cost that you will find surprisingly inexpensive! Are you switching off from digital media?